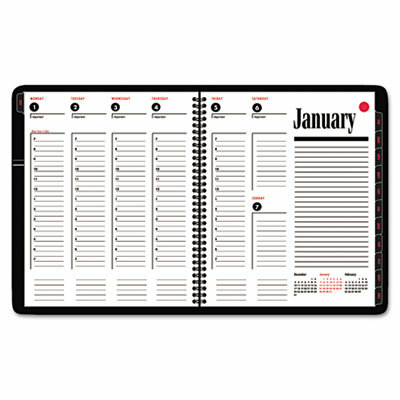 Weekly columnar format bold printed in red and black. Daily date stands out in black circle with type reversed out. Ruled note space on all page spreads. Weekly columnar format bold printed in red and black. Daily date stands out in black circle with type reversed out. Ruled note space on all page spreads.